Chatham maintains a proud community of residents. Its colorful history and heritage lure many away from other parts of the country. Both its people and architecture make it memorable. Chatham is a true Southern town. New residents are warmly received in the community. Fellowship and good manners are hallmarks of Town citizens. You usually can tell a Chatham resident by their actions; don't be surprised if they stop and wait for you to cross the street, or simply wave to be sociable. 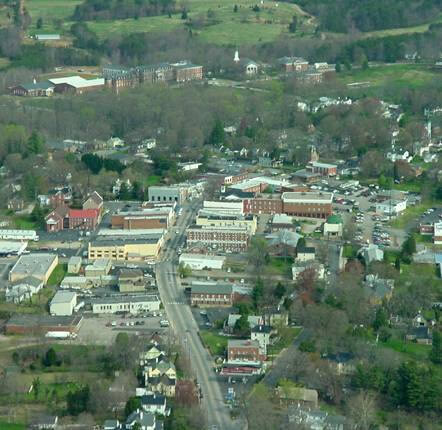 The Town is located at a convenient crossroads for employment,enjoys moderate seasonal weather, maintains a sizable historic district, and has a variety of available services. Real estate properties are reasonably priced both in and out of Town. The Town maintains a year round population of approximately 1,300. Please click on the Town image for a larger version.